These unique parts are usually small heavy coil springs designed for heavy loads and high frequency oscillation. We’ve been helping this industry for many years as well. Occasionally, we are able to help re-design these pieces to increase service life and capacity. 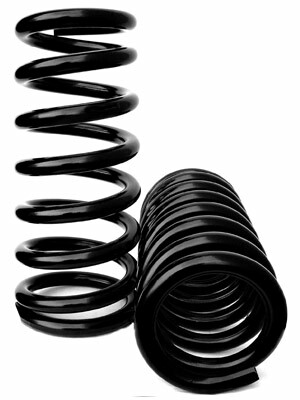 Other parts used for this industry may be flat c-spring designs which we also manufacture. This particular industry is unique in that the support springs do much more than just carry a load. They may be subjected to severe high frequency oscillation for extended periods while at the same time supporting very heavy loads. Our expertise has allowed us to aid in the design and engineering of these spring to better handle such severe conditions by reducing working stresses.